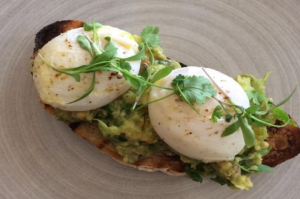 Ditch those sugary, high in calorie breakfasts and make way for the high protein breakfast that will keep your body fuelled until lunch time. Even some toast with butter or jam will leave you craving for more. The high in sugar breakfast lead to a rapid increase in blood sugar followed by a sugar crash and early morning sugar cravings. 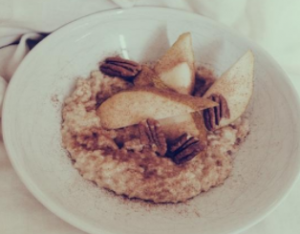 Take the healthy alternative to cereals, oats! Oats might sound boring at first especially if you’re having them plain but experimenting with different toppings and ingredients will prevent you getting bored. Raspberries, strawberries and blueberries with mixed seeds add those textures to keep it interesting. Nuts, seeds and nut butter are great ways of incorporating healthy fats and protein into your breakfast. This will help with satiety as well as providing a source of energy. Chia seeds are a source of protein as well as omega 3, calcium and magnesium. You can make chia seed pudding and add a range of toppings, the same as oats. Alternatively you can make a chia seed smoothie or add them to your avocado toast! Mix the chia seeds with the almond milk, stir immediately to prevent the seeds clumping together. Mix the honey, yoghurt and nut butter, add to the chia seeds and stir well. Store in the fridge for at least 20 minutes or store overnight. Eggs are on the of the go to foods to maintain a healthy lifestyle! Eggs are a great source of protein as well as the yolk containing a range of nutrients including vitamin D, vitamin B12 and iron. Pancakes- Yes pancakes! 1 mashed banana, 1 large egg, 2 tbsp oats, dash cinnamon, 1 tbsp ground flaxseeds- mix well and fry in batches! What to add to your toast? Getting the healthy fats in- 2 Poached eggs on 1 slice toast with ½ avocado, chilli flakes. 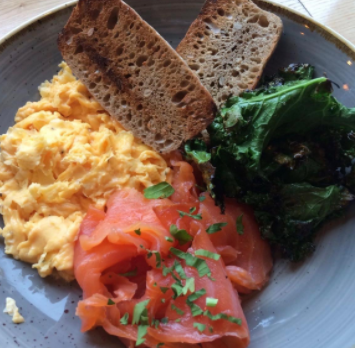 When brunch is calling your name- Toast, scrambled egg, kale and smoked salmon is a great option. WHAT CONTRIBUTES TO A HEALTHY BALANCED MEAL?